CDs – provide an aural model featuring outstanding arrangements. 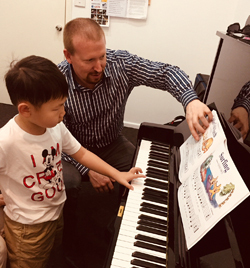 Or call us on 9942 4066 for more information about Encore on Keys Program at Alla’s Music Studio. 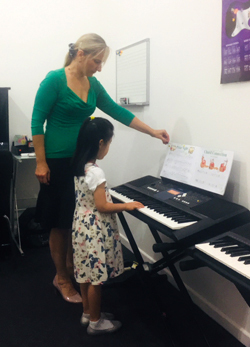 Yu Ting started music lessons when she was 2,5 years old with group classes Kinder Beat 2. Now she is 4 years old and she made her way to piano course Encore on Keys book 4. She able to read wide range of music notes in both treble and bass clef, play pieces with triads in one hand along with the melodic line in the other hand, recognize all the music terminology and follow dynamics and details such as legato and staccato. 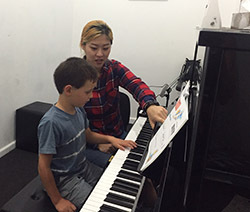 Playing piano and understanding music theory helped Yu Ting with her violin lessons which she began at the age of 3,5. Now she is preparing to violin AMEB exam preliminary grade. Yu Ting successfully performed her puano pieces from Encore on keys book 3 at the end of year 2017 student concert. You can listen a recording of her performance below.